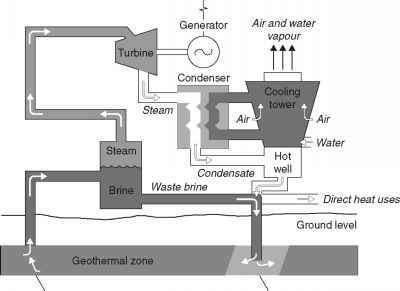 It is possible to employ devices other than turbines to extract energy from a moving stream of water. One such device, called the stingray, is based on concept of the hydroplane. The stingray has a large hydroplane-like wing mounted at the end of a long, hinged arm. The angle of the hydroplane can be adjusted to control its lift and drag. If the device is placed in an ocean stream, adjusting the angle of attack of the hydroplane cyclically will force the arm to oscillate up and down, generating a hydraulic force, which can be converted into electricity. A150 kW prototype is under development.